Redermalization is the process of injecting a mixture of Hyaluronic Acid and Sodium Succinate using the vital injector, to rejuvenate the skin. Rederm also addresses Dehydration of the skin and the effect of free radicals on the skin. Numbing cream is applied before the procedure to avoid any discomfort. The Xela Rederm is injected into the skin with the Vital Injector 2 so that it reaches the deeper levels of the dermis, giving the skin the tools it needs to rejuvenate itself. The tiny injections further stimulate the production of collagen as the body floods the affected area with healing compounds, both of which addresses the third factor of ageing. 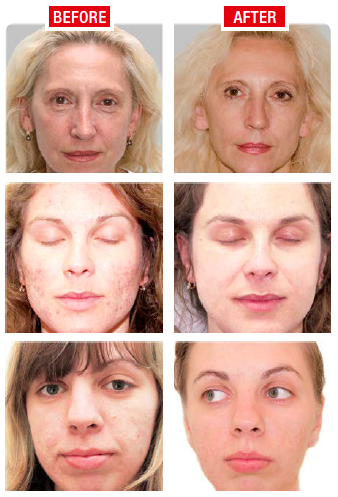 The Redermalazation treatment is safe on all skin types.